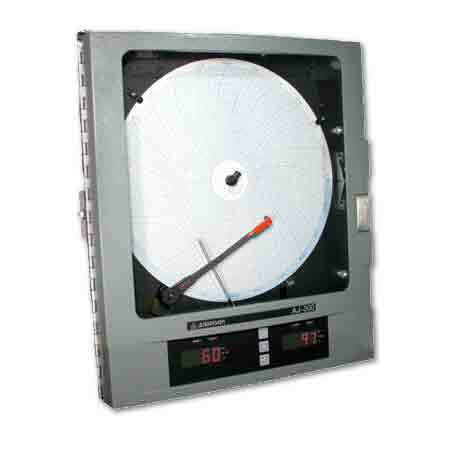 The AJ-300 series drag pen style circular chart recorders are available as single or dual channel. A full PID controller option is also available. The AJ series is capable of accepting both RTD as well as mA input signals. Optional mA retransmission is also available.